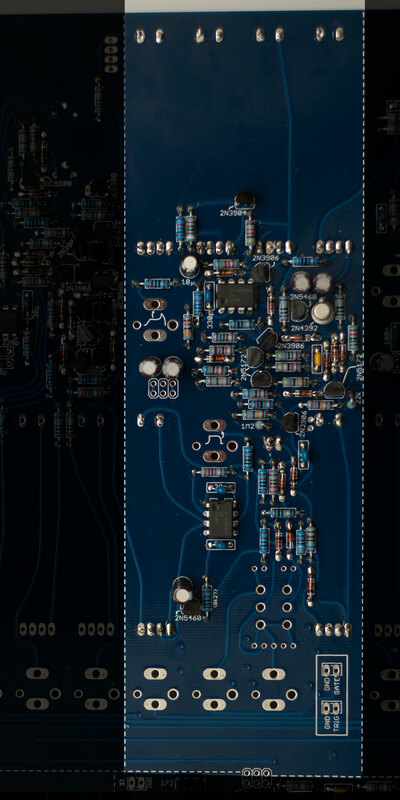 The ADSR and ASR modules are both in the same module. 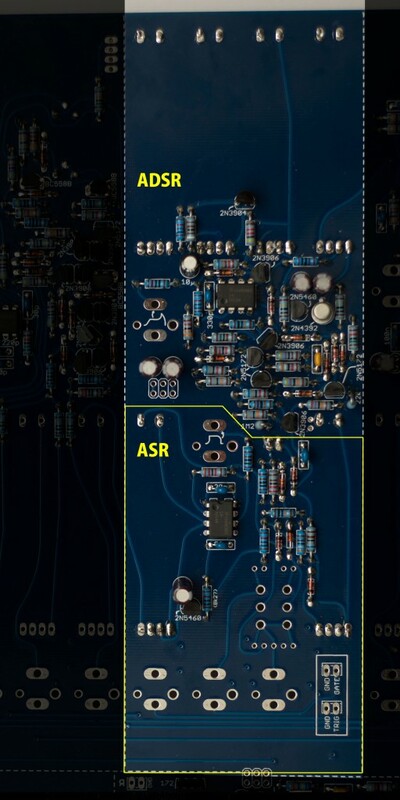 The ASR is the lower part and the ADSR is the upper. You can build both at the same time, or just split the build into first the ASR and then the ADSR. This is the first module where will install sliders, since it needs for testing. We’ll also install the small push button so we can trigger the envelopes. You can start with either one. Resistors, diodes, capacitors, ICs and transistors, and finish with the topside components. The sliders need some special care – A good trick is to bend the two pins kitty-corner, while applying pressure to the slider (So it’s flush against the board). Solder it in after that. After the module is fully populated. Apply power and test the modules by triggering the push button. You should see the desired waveforms at the marked pads. This module has no trimming.